Reorganizing the database is one of the tasks of Susanne Urban, the ITS head of research, who joined the archive in 2009 after working in Yad Vashem, Israel's official memorial to the Holocaust. She says she expects the archive to reveal a plethora of "mosaic stones" to complete the picture of the genocide rather than alter it. "Here you keep getting confronted with the global aspect of the Holocaust and survival, you see how it started in Germany, spread across Europe and with the documents about the survivors we see how a web of memory has spread across the whole world. Here you get an overview over everything. What makes it so harrowing is that you don't just get one aspect, you get them all. You sense this monolith that was built of pain and sorrow." The work may be fascinating, but it can also be exhausting and saddening. Urban has only two research assistants on temporary contracts, which she says isn't enough. The BBC is to introduce a new radio website, codenamed ‘Audiopedia’, to contain virtually its entire archive of speech radio programmes going back to the 1940s. Europe's rich cultural heritage can be found in museums, libraries, galleries, cultural institutes, and archives throughout the continent. And thanks to digitization efforts and Europeana, much of this heritage can also be found online. Europeana is an Internet portal that provides public access to Europe's digital libraries - more than 15 million cultural objects including paintings, drawings, archival papers, books, letters, radio broadcasts, newsreels, films including some of the world's most famous cultural artifacts such as the drawings of Leonardo da Vinci and Isaac Newton's notes and book about the Laws of Motion. About 1500 institutions have contributed to Europeana, including the British Library in London, the Rijksmuseum in Amsterdamn, and the Louvre in Paris. Anyone can visit the Europeana website to search through the materials. And now, thanks to its newly released API, other applications and services may soon be on the way. At the beginning of the month, Europeana held its first in what will be a series of hackathons, a way to showcase the potential of the API to data providers, partners and end-users. Europeana's new API is a search API that lets you search and display collections, metadata, and previews. The Hackathon earlier this month was by invitation only, and currently European's API is only available to its partner developers. Those restrictions stem, in part, from the agreements that Europeana has had to make with institutions in order to access, search, and display their digitized collections. Nonetheless, those who did participate in the Hackathon did build some great tools, including at least one that Product Developer David Haskiya says that Europeana will use itself. One project was component built for the open-source content management system Joomla that includes both a keyword search and a map search. With the latter, you can look up objects in the the Europeana database within a region. And just so you don't restrict your searches solely to the most famous of Europe's cultural artifacts, one project will help with discovery: a random image explorer. The debates surrounding the importance of and the obstacles to any sort of national digital library have certainly resurfaced following the recent Google Books decision. Who owns the rights to cultural artifacts? Who can and should be responsible for digitizing these artifacts? Who then stores them? Who can access them, and how? These debates, of course, aren't new - in the U.S. or in Europe. In January, a European Union report cautioned its member states against turning over this efforts entirely to the private sector. While these contentious legal issues are still being worked out, the Europeana API - and the hackathon - point to another important aspect of these sorts of projects. A digital library isn't simply about the preservation of important cultural material. It's about making sure that material is accessible. And with an active support for linked data and now with an API, it looks like Europeana is well on its way to moving these sorts of efforts forward. Perpetual Proposal is a system to initiate and record the flow of books within an exhibition as reading room. The Books (selected by Sophie Demay and Charlotte Cheetham) all deal with the form and content of the book as a subject. Being interested in mathematician and librarian S.R. Raganathan’s Five Laws of Library Science*, Fay and Oliver encourage visitors to the exhibition to select books from the peg board display and browse through them at their leisure. Investigating the idea of a reader as both a consumer and (re)producer of knowledge Fay and Oliver ask visitors to select a page using a book mark for our librarian to copy. The rationale behind page selection is left in hands of each reader. Throughout his/her shift the librarian will copy and index selected pages, binding them into a compendium that will enter the selection of exhibited books each day. These new additions both document the use of, and add to, the collection of exhibited books. 2. EVERY READER HIS (OR HER) BOOK. The Berkman Center will convene a large and diverse group of stakeholders to define the scope, architecture, costs, and administration for a proposed Digital Public Library of America. This initiative was launched in December 2010 with generous support from the Alfred P. Sloan Foundation. Planning activities will be guided by a Steering Committee of library and foundation leaders, which promises to announce a full slate of activities in early 2011. The Committee plans to bring together representatives from the educational community, public and research libraries, cultural organizations, state and local government, publishers, authors, and private industry in a series of meetings and workshops to examine strategies for improving public access to comprehensive online resources. 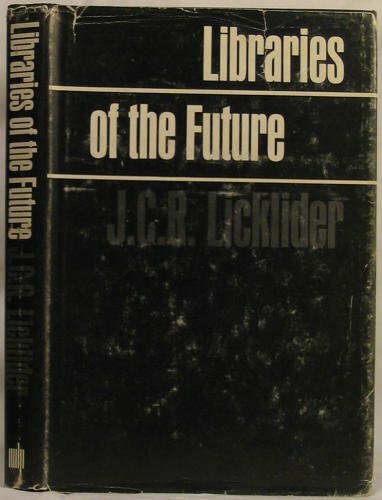 The initiative stems from an October 2010 meeting held at the Radcliffe Institute to discuss the possibility of creating a Digital Public Library of America. That meeting, attended by leaders from research libraries, foundations, and a variety of cultural institutions, resulted in a statement that will serve as a jumping-off point for the initiative. The evolution and success of this initiative rely on inputs from a diverse range of stakeholders and community members; we very much hope that this wiki will be the embodiment of a consensus-based and peer-produced approach. This is just a starting point, which we hope will grow with your input and suggestions. Please help us to develop these resources and conversations by creating an account and contributing links and resources directly to the wiki, or by e-mailing Rebekah Heacock at the Berkman Center with your contributions. Not sure where to start? Check out the most active pages or the pages with the fewest contributions so far. I came out of it invigorated and depressed at the same time. Invigorated: An amazing set of people, very significant national institutions ready to pitch in, an alignment on the value of access to the works of knowledge and culture. Depressed: The ! @#$%-ing copyright laws are so draconian and, well, stupid, that it is hard to see how to take advantage of the new ways of connecting to ideas and to one another. As one well-known Internet archivist said, we know how to make works of the 19th and 21st centuries accessible, but the 20th century is pretty much lost: Anything created after 1923 will be in copyright about as long as there’s a Sun to read by, and the gigantic mass of works that are out of print, but the authors are dead or otherwise unreachable, is locked away as firmly as an employee restroom at a Disney theme park. Should the DPLA aggregate content or be a directory? Much of the discussion yesterday focused on the DPLA as an aggregation of e-works. Maybe. But maybe it should be more of a directory. That’s the approach taken by the European online library, Europeana. But being a directory is not as glamorous or useful. And it doesn’t use the combined heft of the participating institutions to drive more favorable licensing terms or legislative changes since it itself is not doing any licensing. Abraham Lincoln's Gettysburg Address has inspired Americans for generations, but consider his jarring remarks in 1862 to a White House audience of free blacks, urging them to leave the U.S. and settle in Central America. Lincoln went on to say that free blacks who envisioned a permanent life in the United States were being "selfish" and he promoted Central America as an ideal location "especially because of the similarity of climate with your native land — thus being suited to your physical condition." John Palfrey of the Berkman Center for Internet & Society at Harvard University and Doron Weber of the Alfred P. Sloan Foundation offer opening remarks at the first workshop of the Digital Public Library of America planning initiative.